The Valentines Site Theme is available this month. It can only be obtained on Valentines (February 14th) by sending A Mysterious Valentines Card to another user. Remember, the card must be sent by a person without the site theme in order for it to be unlocked. The Valentines Chia Avatar is also available on the 13th and 14th of this month. You can unlock it by sending this neogreeting on either day. If you already have this avatar, or are looking to obtain it, we have some Neoboard fonts that fit the occasion! Or you can use a standard pre-made font with any avatar combination you wish. Just head on over to our Neoboard Fonts section to learn how to use them on the Neoboards. My heart was blinded by you! Thanks to all the wonderful donations, we have come closer to our goal for the year. If you would like to help us with our hosting costs, check out all the details on our Donate to Jellyneo page, and even earn yourself a special jnAccount trophy! The February NC Mall Menace and Mischief collectible features the Bringer of the Night. This item will only be available in the NC Mall during the month of February! A Mysterious Discovery - Is it getting warm in here? If the moon phases baffle you, review our Shenkuu Lunar Temple guide. JN Downtime Notice: Our host has scheduled maintenance on Friday, February 4th from 10PM PST (NST) to midnight. As you've probably noticed, New Features hasn't been updated today. We're having some issues that prevent us from updating the site... at least that's what the Server Meepits say. 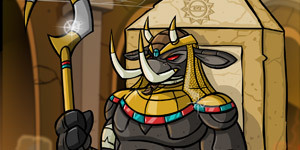 Tomorrows news might include an update for the New Game Challenge as Shenkuu Warrior II is released! Jubjub Power Bounces also awarded new prizes today, but with the site problems, the game is not functioning properly. So hang on to your tokens until the issue is resolved. The new game challenge for Shenkuu Warrior II has been released. View the prizes on our New Game Challenge Guide. Glitch Alert: Auctions, Attic, Neolodge + more! If you know of anymore funkiness, post in comments! If you're bored sitting around waiting for that Seasonal Attack Pea auction you just snagged to process, why not check out what we need to have modeled? We can use all the help we can get. 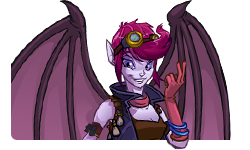 Visit the new Faerie Quests page for a random faerie item. Visit each day to earn a special prize on February 24th. Please read the official Faerie Quest Event FAQ for more details. Learn about each type of Faerie in Neopia.